I ordered the regular size instead of their teeny weeny tiny, and watched as the lady behind the counter constructed a beautiful bowl of fries, cheese and gravy. After a few pretty photos, I took my fork to the pile of beauty and was impressed with what I found. The gravy was light without being too plain, and wasn’t too salty either, allowing the full flavor (or should I say flavour?) of the fries and cheese to do their own work. I was very happy with the extra layer of cheese, because more cheese is always good, although I probably would have still been happy with just the regular amount of cheese. The only downside was that it got a little bit intense at the bottom of the serving. It’s to be expected, but still not ideal. 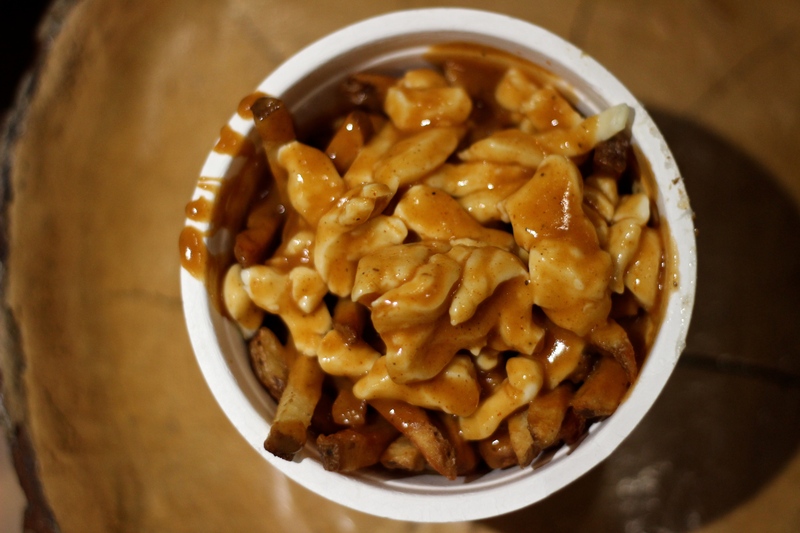 Nonetheless, I can safely say that this was the best poutine I have ever had (at least since starting up this blog, because I stupidly didn’t start until after going to Montreal). 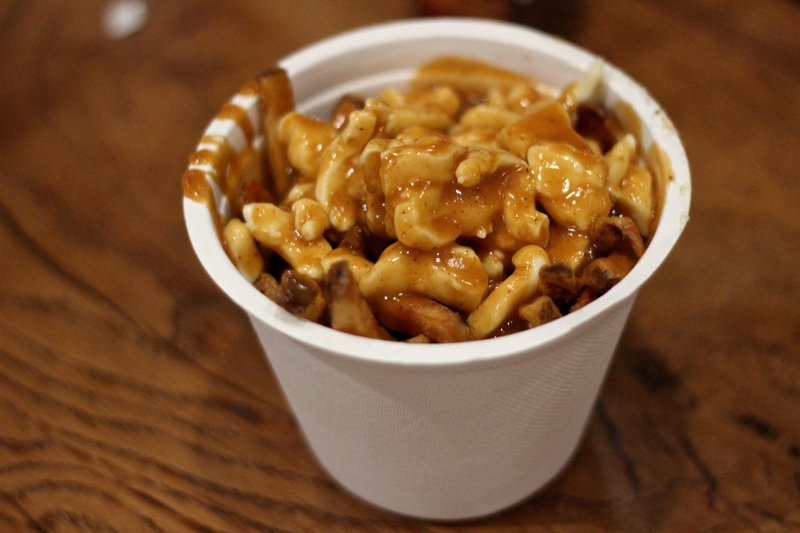 I’d recommend Poutini’s for anyone looking to take down that glorious blend of potato, dairy and meat drippings.